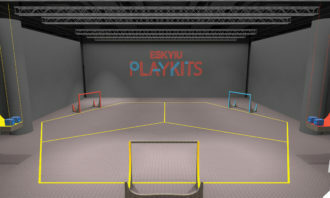 ESKYIU, the multi-disciplinary architecture studio, and Nike Hong Kong are co-hosting a transformable interactive exhibition – ESKYIU PLAYKITS – at ArtisTree, Quarry Bay, from 17 to 28 November. 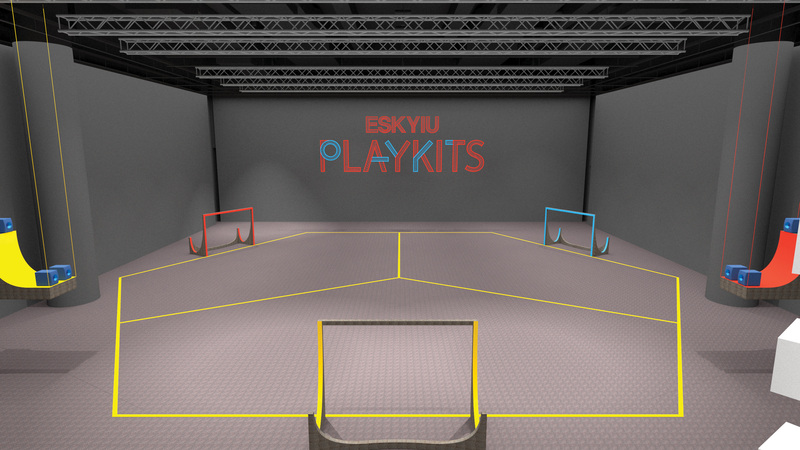 ESKYIU PLAYKITS examines the notion of play, sustainability and placemaking, presenting these themes in a series of actions and reactions in playful dialogue with participants. It aims to serve as a platform for cultural exchanges, to bring together different people to generate positive and rigorous social interactions, and to inspiring the public to imagine the future as a community. 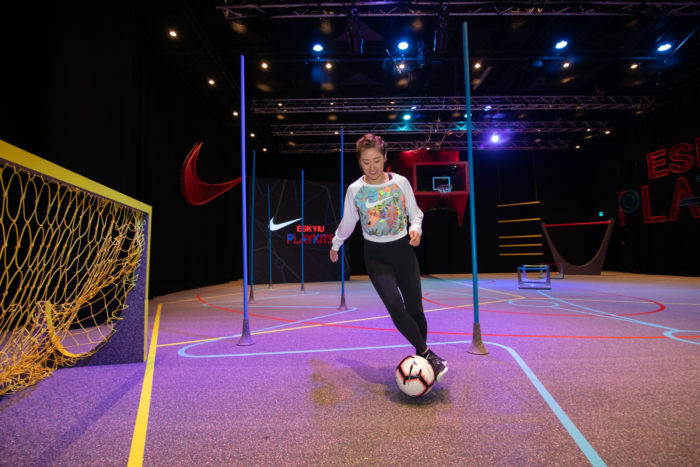 Captain of China Women’s National Football Team Haiyan Wu at the circuit training. 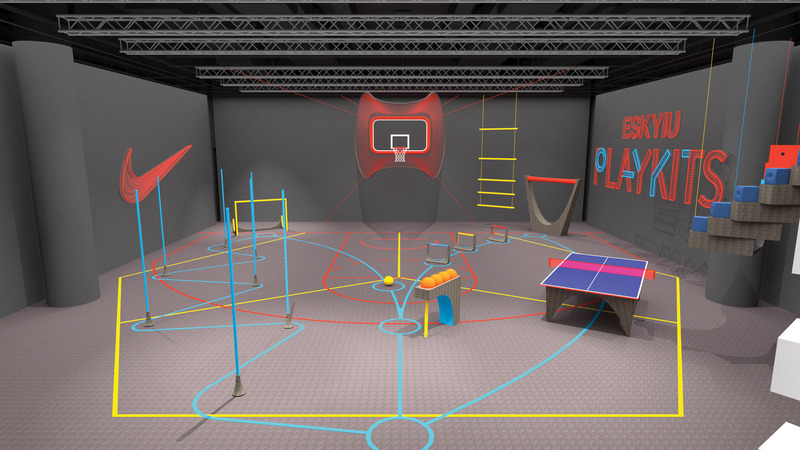 Co-hosted with Nike , “the Sports Challenge” will be the highlight of the exhibition, which is a six-days diversified sports experiences. 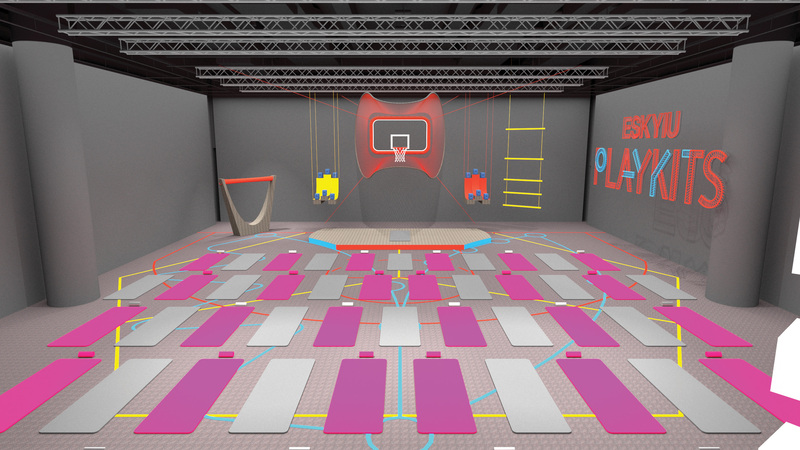 The Sports Challenge will kick off with Circuit Training on 17 November. 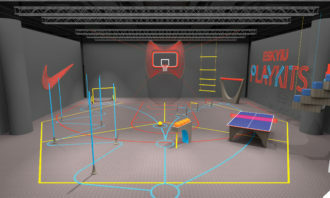 Participants will be challenged to complete the dynamic routine from jumping through the small and big hurdles, hitting the ping-pong, shooting a basketball at the 3-point line, running between the agility poles, and a final shoot at the football goal. 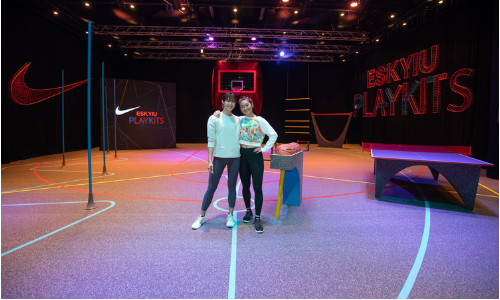 Different activities from yoga with kids, basketball sessions for the youth to relaxing running sessions around artiste and taikoo area will also be launched. 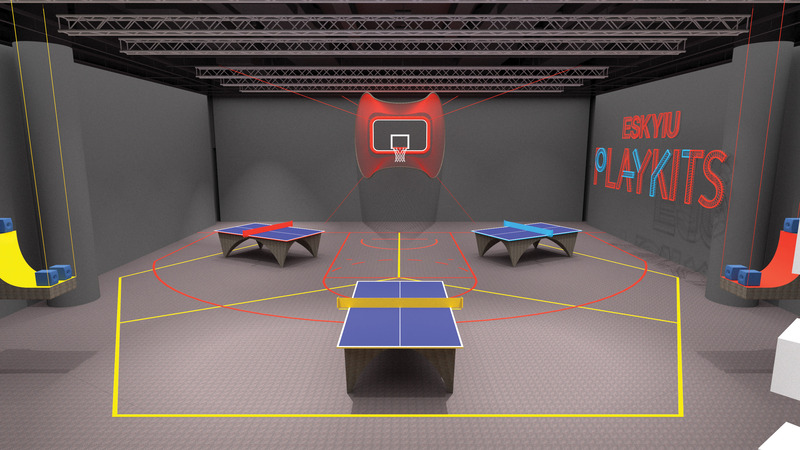 A special midnight ping pong game will take place on 20 November evening for the late night workers in Taikoo place. 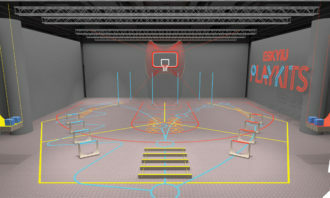 Other major activities include “C-Suite Dialogues” – a dynamic round-table dialogue event that redefines play and work; and “Chinese Music Rediscovery” – an experimental music and sound experience collaborated with Hong Kong New Music Ensemble (HKNME). 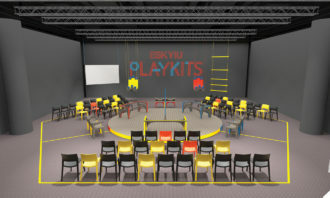 Marisa Yiu and Eric Schuldenfrei, founding partners of ESKYIU, said at the opening ceremony: “Architecture is the art of crafting a space into a place – making places that will hold memories, generate interactions, and inspire impossible possibilities. This special retrospective show is not a conventional one, as it looks to the past to shape the future, and also ultimately to celebrate the people and larger community of diverse and dynamic city”. 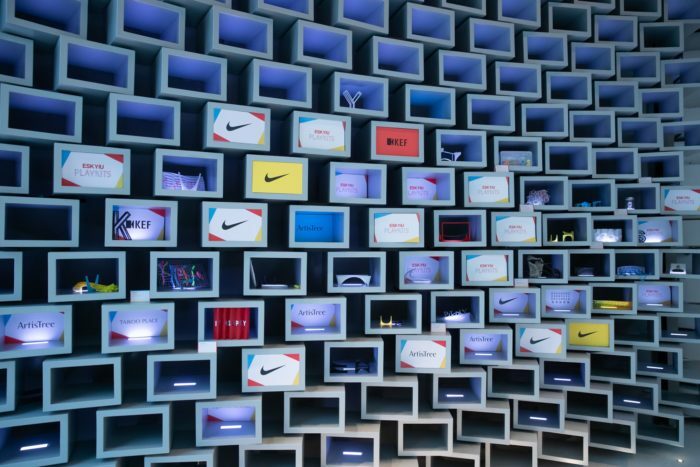 The surfaces of the exhibition are made from sustainable material – Nike Grind, provided by Nike, designed by ESKYIU. 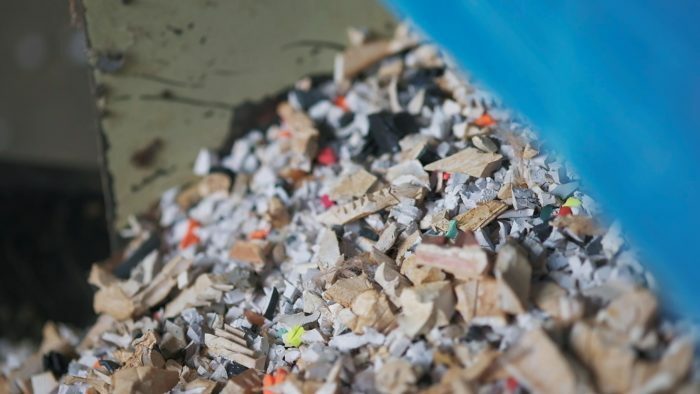 Nike Grind is a palette of regenerated materials created from recycled athletic footwear and surplus manufacturing scraps comprising rubber, foam, fiber, leather and textile blends which are separated and ground into a wide range of granules. 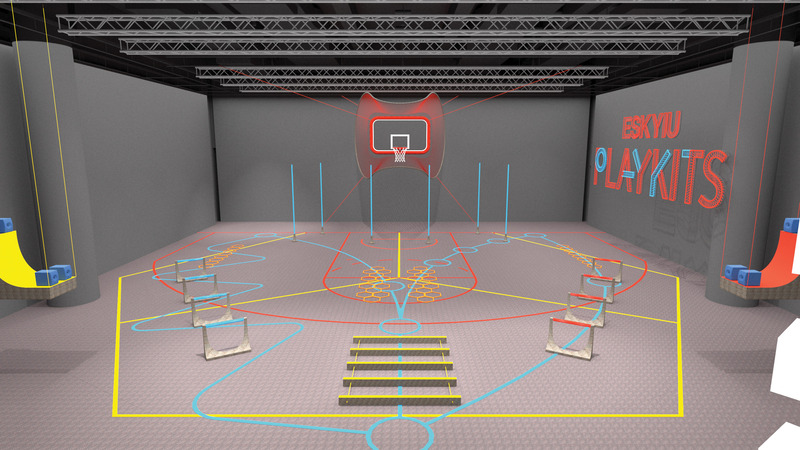 With around 394 square meters of ESKYIU PLAYKITS exhibition, roughly around 59,100 pairs of shoes have been used for the construction. 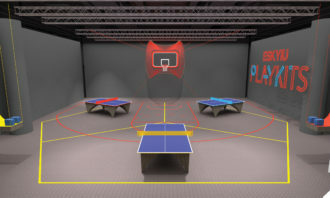 The exhibition uses this set of transformable objects to accommodate various functions of different programmes, transforming ArtisTree into a table tennis court, a basketball court, a concert hall, a symposium hall, and many more, displaying the aesthetics of space through playful architectural language. 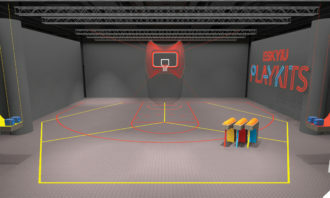 The space of the exhibition will be transformed every day for different sports, with different times and coaching in specific events. 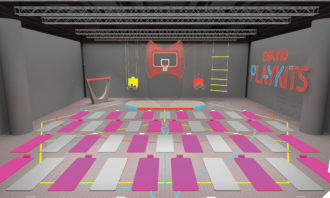 Upon completion of the 6-day Sports Challenge, the venue will be transform to host C-Suite Dialogues and Chinese Music Rediscovery. 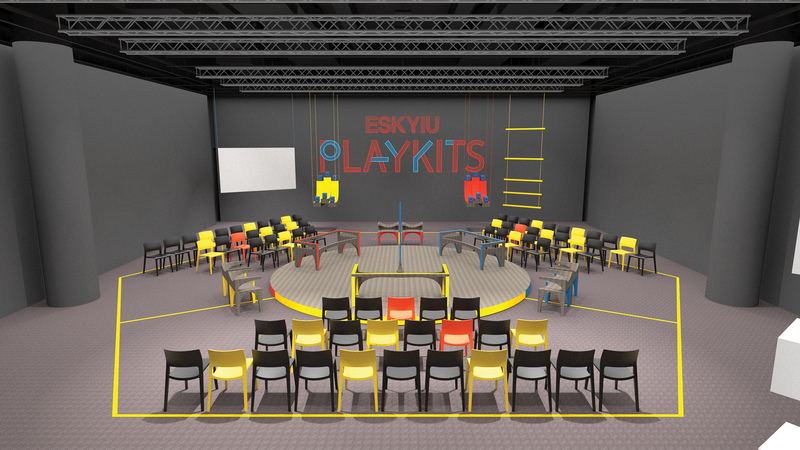 Meanwhile, ESKYIU team has initiated a participatory PLAYKITS Community Wall challenge that invites collaborators and the local community to contribute to the production of the exhibition by creating a personalized, unique version of PLAYKITS logo. 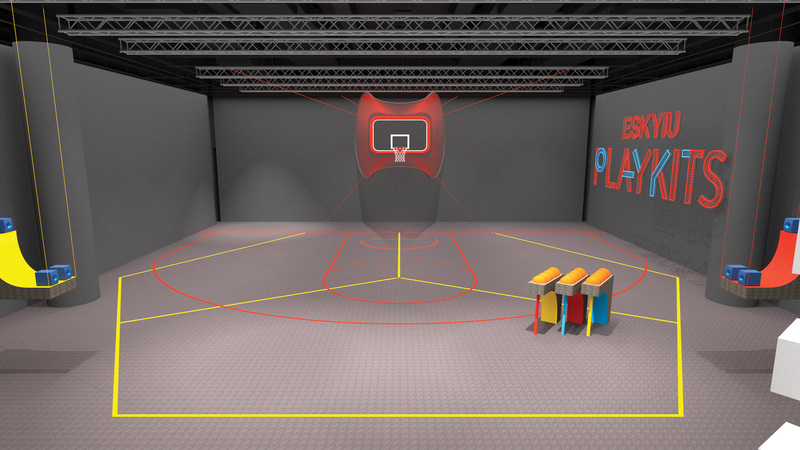 Creative pieces are now displayed at the PLAYKITS Community Wall at ArtisTree, including works by designer Michael Young, artist Movana Chen, illustrator Prodip Leung, and architects Jesse Reiser. Hong Kong Olympian Swimmer Stephanie Au at the community wall. This move follows Netflix's recent plans to attract more users in Asia, as it tests lower priced subscription plans. ..
Is the global attention really benefiting Auntie Anne’s? Auntie Anne's certainly earned some good brand exposure from the whole "hot dog" debacle, but how this can benefit the fast food c..